Take your pastry out of the fridge about an hour before use to warm up, then roll out to about 1/2 cm thick. Use circular cutters to cut out disks to pop in your cupcake tray (grease first with some butter to stop it sticking). 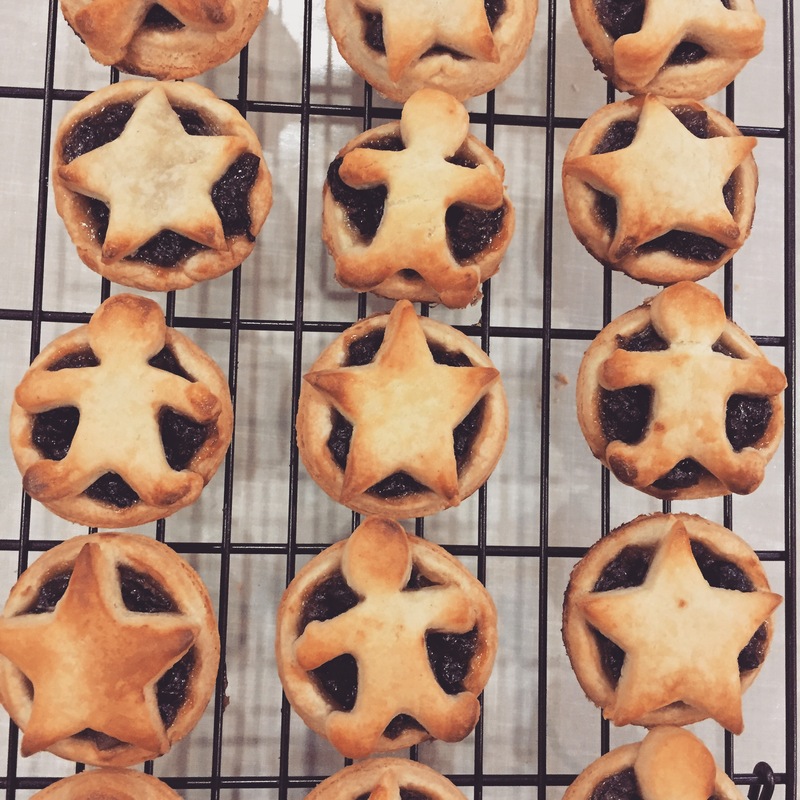 Then fill with mincemeat (don’t overfill) and top with a pastry shape of your choice – we used gingerbread men and star playdough cutters because they were plastic and easy for the boys to use safely. We found that our slab of ready to roll shortcrust pastry from Sainsbury’s made 18 exactly (with none leftover) but you might want to cut circles and shapes at the same time to ensure you don’t get too many “bottoms” and run out of pastry for “tops”. Once made, use your pastry brush dipped in milk to brush over the tops like a glaze (the kids love doing this), and then a grown-up can pop them in the oven at 180 degrees for 10-15 mins (keeping an eye on them in case they burn). And voila! Easy Peasy Cheats Mince Pies that will keep the Kids happy and look pretty good too.